Dr Oz was with psychotherapist Dr Mike Dow learning all about how you can actually change your personality to diminish some of the negative traits that may be holding you back. 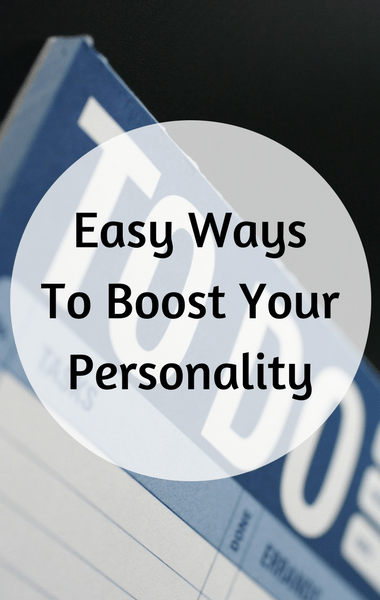 According to Dr Dow, there are three things you can do today to boost your personality. First is to make a to-do list. If you score low in consciousness and need to become more organized and diligent, a to-do list can make a big difference. However, it’s important to write the items on your to-do list in order of importance, with the most important thing first. List the five things you need to get done and write them down the night before. Then the next day, focus only on the first thing on the list until you get it done, then move onto the next thing. If you still have some left over at the end of the day, they get moved to the top of your list for the next day. Day by day you will become more productive.